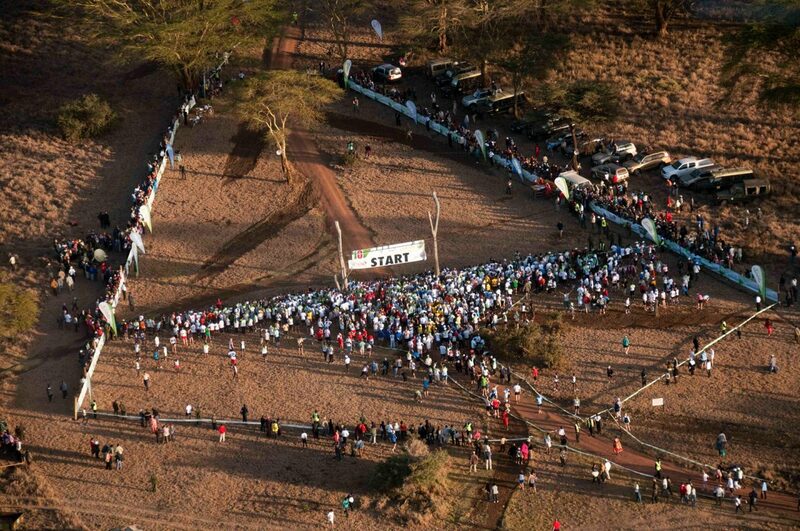 Tusk’s Safaricom Marathon, organised in partnership with Lewa Wildlife Conservancy, is regarded as one of the world’s top ten marathons. 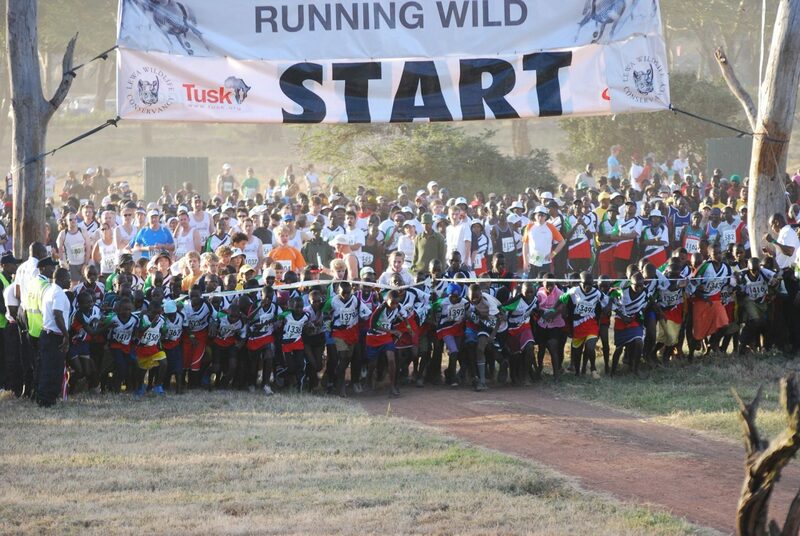 This unique event has raised millions of dollars since 2000 to fund Tusk's wildlife conservation, community development, education and healthcare initiatives across Kenya. 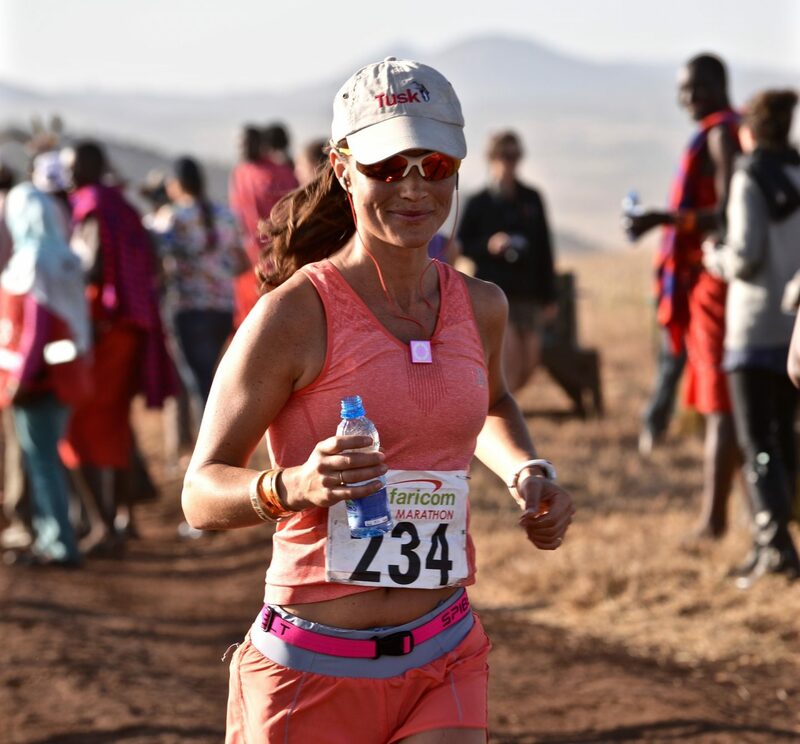 Click here to read the latest news about the 2018 event and get results. 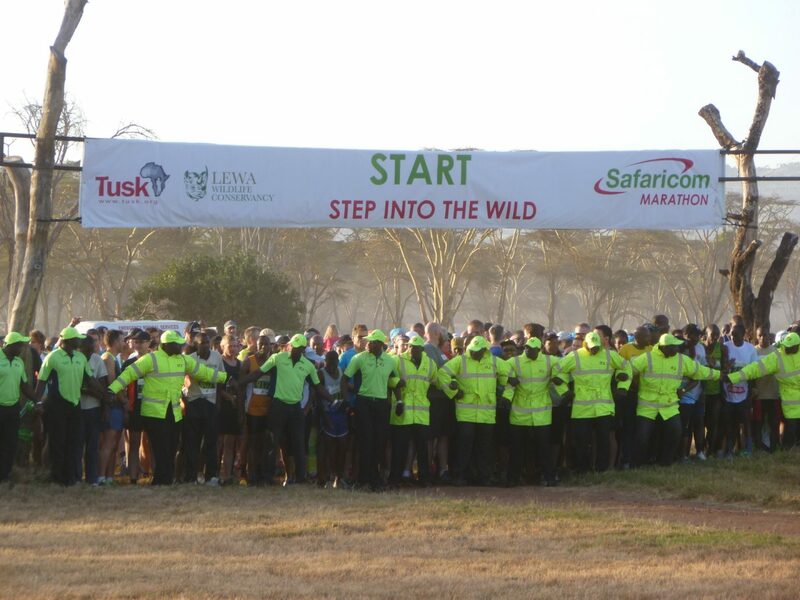 The course is set on dirt roads over an undulating 13-mile course through some of East Africa’s most beautiful scenery, across savannah plains, along river banks and through acacia woodland before finishing close to Lewa’s headquarters. 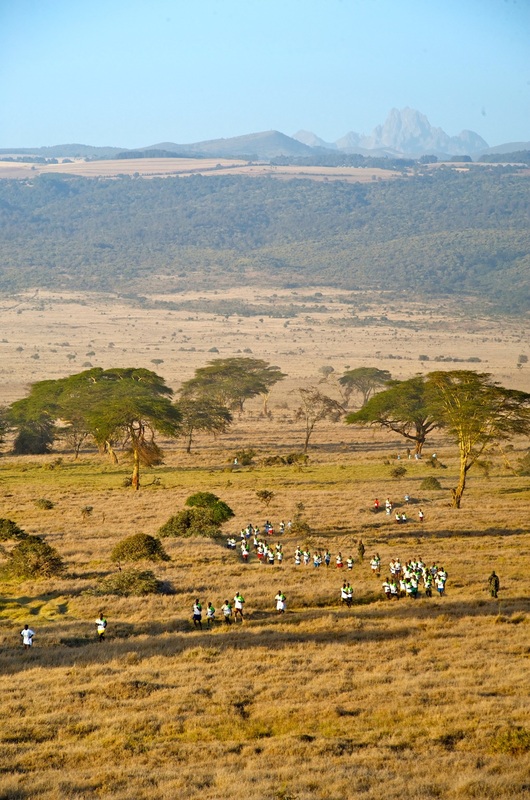 Mount Kenya lies to the south and there are breathtaking views north towards Samburu and Mount Ololokwe. 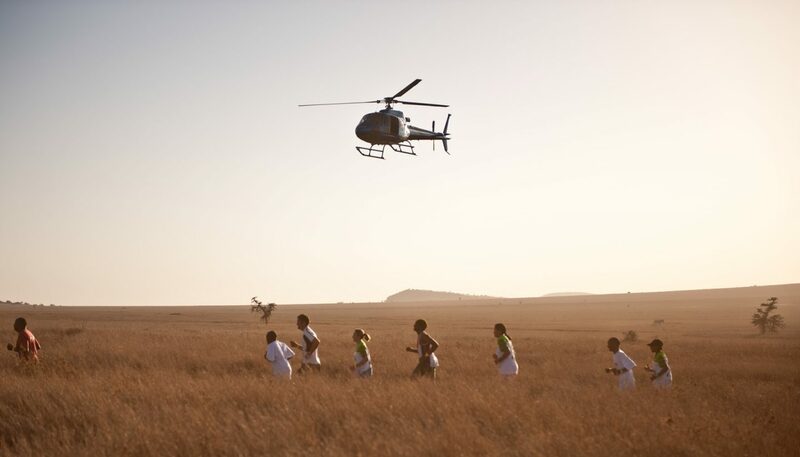 The event offers the unforgettable experience of running alongside some of Africa’s most amazing wildlife, as the heavily protected 61,000 acre conservancy is home to over 100 rhino, herds of elephant, big cats, and a vast assortment of plains wildlife including giraffe, buffalo, the rare Grevy’s zebra and much more. 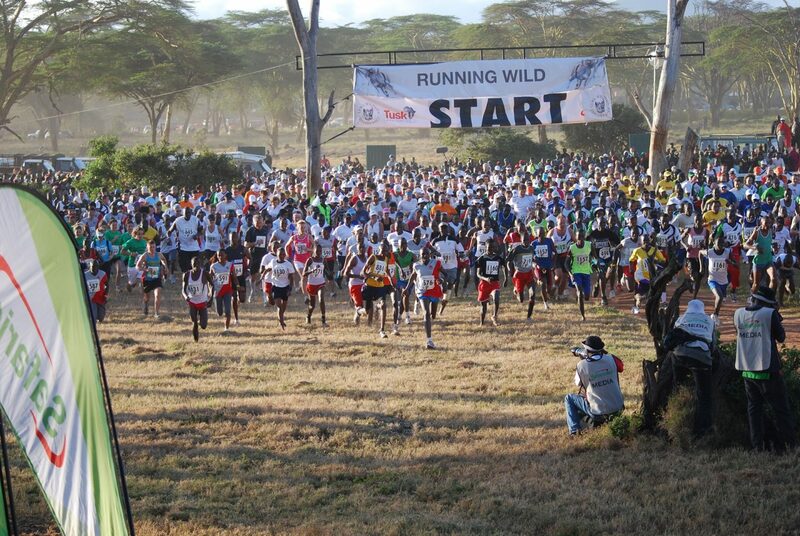 The race begins in the early morning before the heat of the sun gets too much. 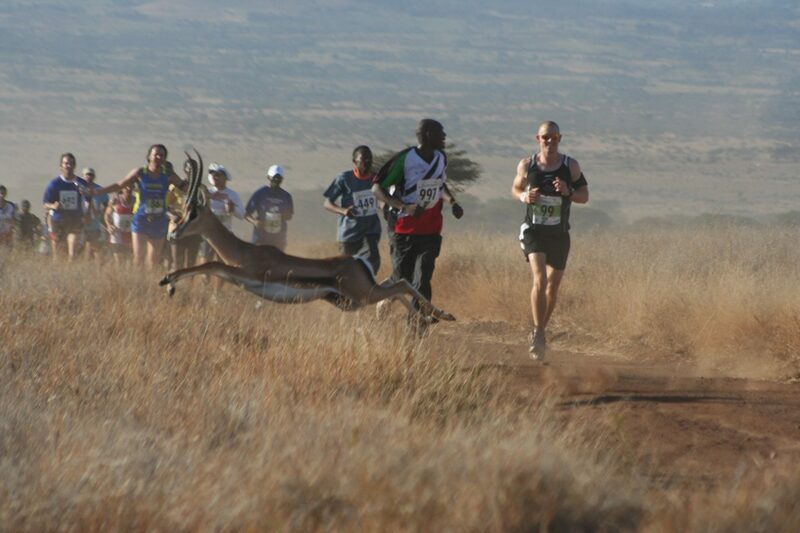 The altitude (Lewa is at 5,550ft above sea level) adds to the challenge. 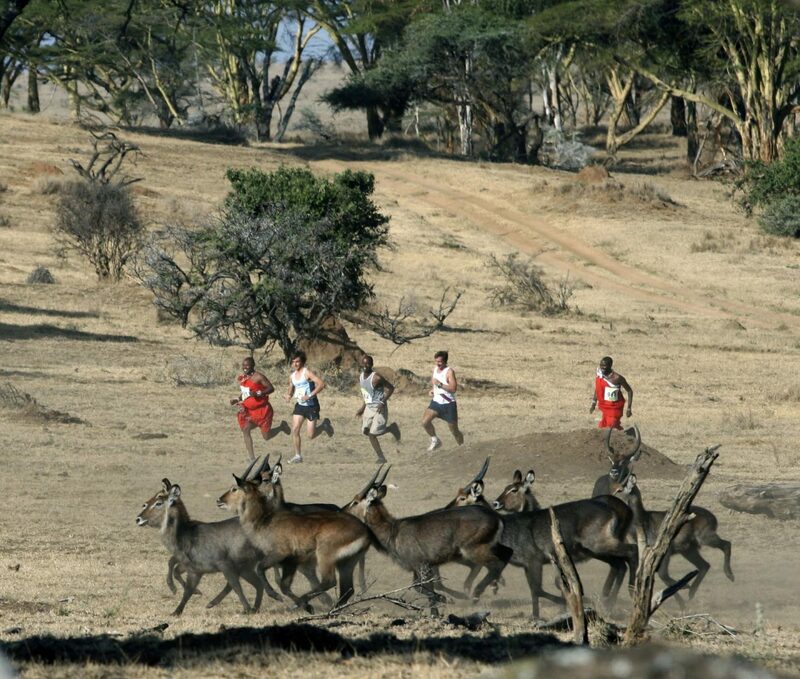 The full marathon is two laps of the same course. 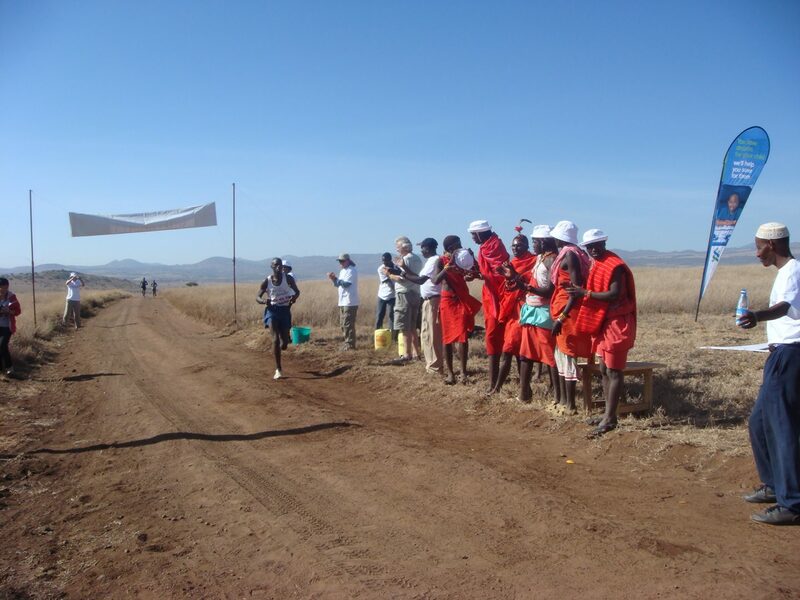 The entry fee is £200 per person, and each participant is asked to raise a minimum of £1,500 in sponsorship, with many going on to raise considerably more. 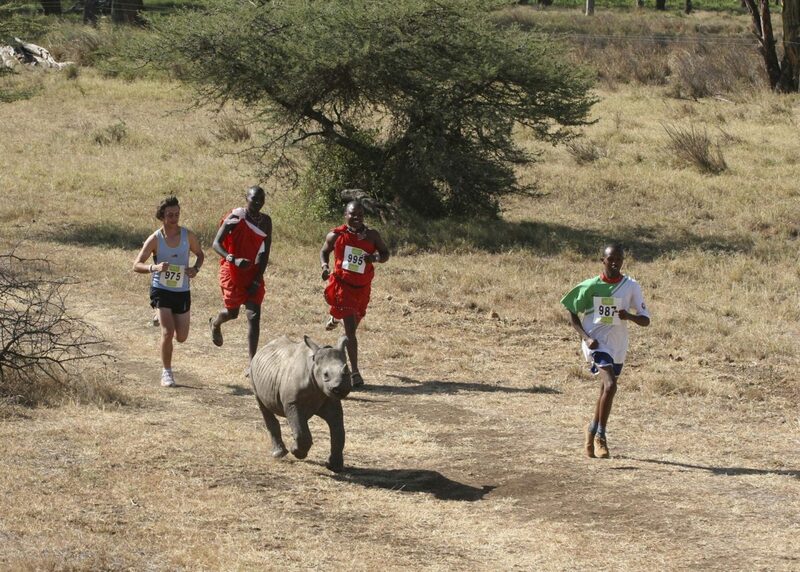 All the funds raised are invested directly into Tusk’s projects in Kenya – including the Lewa Wildlife Conservancy. 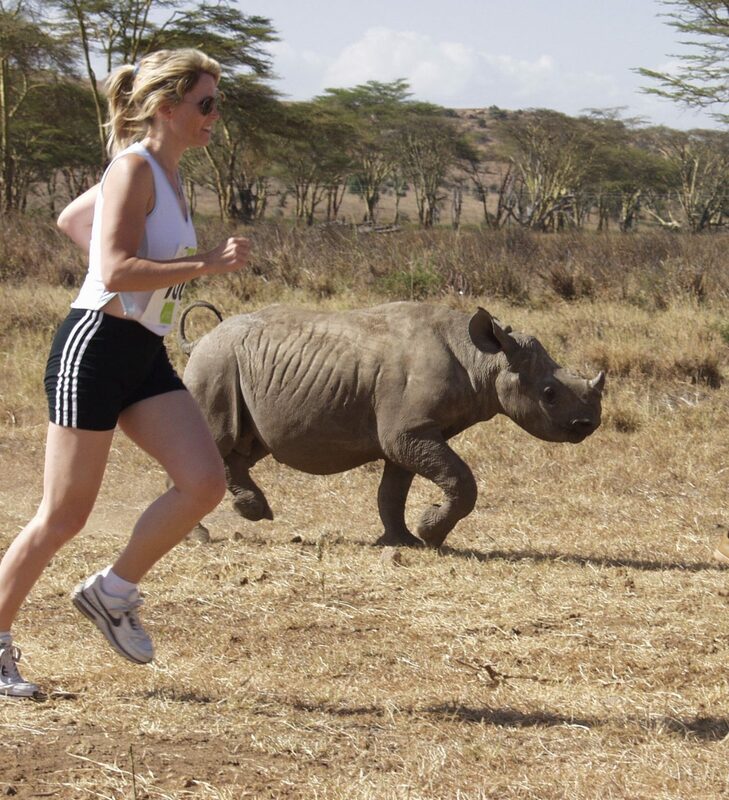 As well as seeing Lewa’s incredible wildlife that their fundraising efforts help protect, runners get the chance to visit some of the other initatives supported by the marathon – such as local schools, water projects and health clinics – to witness firsthand the difference that the funds raised will make. 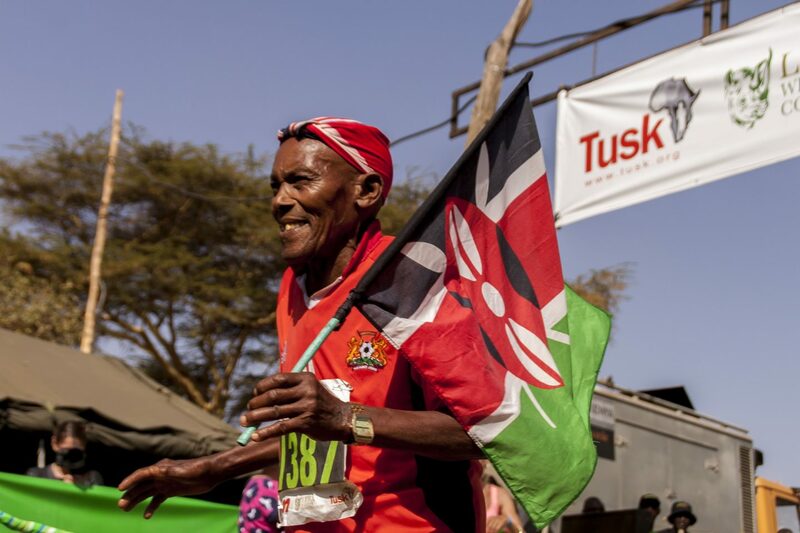 Entry for the 2018 Marathon has now closed. 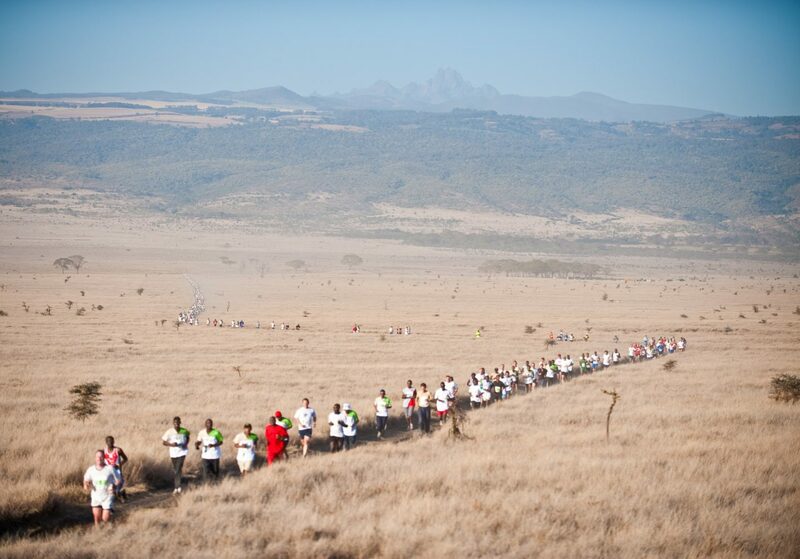 Please contact mary-jane@tusk.org for information on the 2019 Marathon, and follow the #SafaricomMarathon on Facebook, Instagram, and Twitter for our latest updates and images.